You might think that doing your own accounting can save your business money, but even small mistakes may cost you in the long run. Learn how to avoid them. Accounting is a significant part of any business endeavor and is not as easy as adding and subtracting. Small businesses often think of handling their own accounting to save money—but this may not be the best idea. Accounting errors can cost a company to a great extent. You don’t want to mess up your numbers, as this can impede the growth of your business. Small business owners often make mistakes in their early years due to the lack of proper accounting procedures. Here are six common mistakes that every small business owner must try to avoid. Entrepreneurs, being passionate about their business, have the tendency to want to do everything on their own. When you first started out, you may have been the only person handling everything. The problem arises when you try to manage your accounting on your own, as you may find the quality of services actually deteriorates. Maintaining accounts is important for your business as it grows, but the work required here is time consuming. Let’s face it: You cannot handle everything on your own. Learn how to delegate some of your responsibilities to others. Tip: As a business owner, your time is valuable, and your business needs your attention in order to grow. It makes sense to hire an accounting professional to handle all the accounts. Always seeking out for the cheapest methods to save business expenses can end up costing you more money in the long run. For example, you hire an accountant with the cheapest rate, which may at first seems like the least expensive and therefore best option to go with. But what if they make frequent mistakes in your payroll taxes, and you are not able to submit the application on time? The old saying: “You get what you pay for” often holds true. Tip: Spend a little extra to get quality work done. If you are always looking for cheap solution, you can often count on getting a poorer result. Cash flow is the money which flows in and out of the company from financial activities, investment and other operations. Profit, on the other hand, is what remains from sales revenue after the company’s expenses are subtracted. In theory, even a profitable company can go broke. Let’s see how: Suppose you bought an item for $100 and sell it for $200. Here you made $100 profit. But, what if the buyer is unable to give money on time? In this case, your business will show the profit—but what about the bills you need to pay meantime? You may not have the cash despite the profit you just earned. If such mistakes are repeated frequently, you may even go bankrupt. Tip: Keep track of things you are spending versus the selling. It is recommended to review all your financial statements monthly to get a clear sense of the exact situation your business is in. This is a quick and easy way to mess up your business’s finances. The first step when you open a business is to open a bank account immediately. It is advisable to run all income and expenditures through this business bank account. You may still be paying for many expenditures out of own pocket however, so keeping a record for such expenses is essential. These are valuable tax deductions. If there is no record, you cannot deduct it—which will cost you dollars in lost tax deductions. Tip: Keep your personal and business accounts separate for more concise and pain-free record keeping. With the use of software, all your bookkeeping requirements like payroll and budgeting are done automatically. This brings a high turnaround time, allowing you to spend your valuable time on other things you should be doing—like actually running your business. Many accountants and CPAs swear by the efficiency of Microsoft Excel. However, it’s good to be aware that Excel is not as advanced and interactive as any good accounting software. For example, there is no way human mistakes can be checked in Excel. However, cloud accounting software employs a double-entry method that would weed out such errors. Gartner report suggests that by 2016, cloud computing will become bulk of new IT spending. Tip: Take advantage of cloud technology. If you are not using it, you may be missing out on technology that can help your business run more smoothly. Many SMBs and accountants fail to realize the importance of performing regular backups. Aside from instances like computer crashes and lost or stolen equipment, be prepared for extreme circumstances. A fire in your office or flood from burst pipe can wipe away all you data and records, and these can occur even when your area is not prone to natural disasters. Having multiple backups for maximum security is essential for businesses, ensuring you have access to the data for years to come. The backups can be taken through online services that allow you to store data in an encrypted format. Tip: You should always schedule routine backups of your financial data, even in separate locations, ensuring safe data even in the case of disaster. 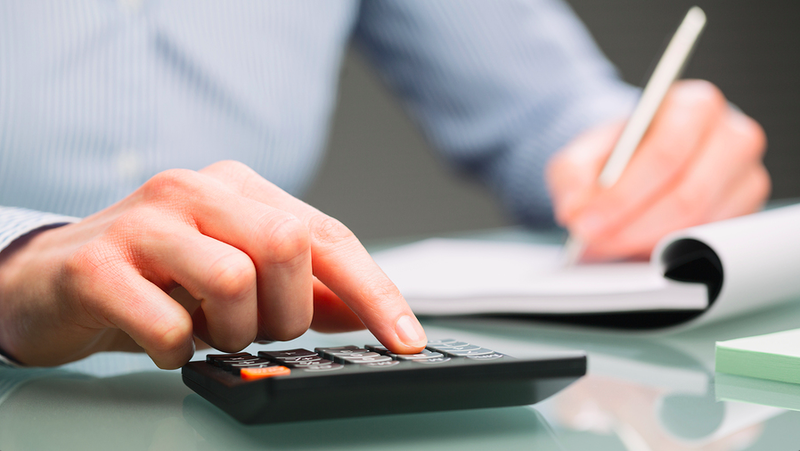 Being a small business owner, there are likely bigger things on your mind than accounting. You have opted to start a business to make your mark, and to make a living. Accounting, however, is an essential part of your business, and should be seen as an investment. These common accounting mistakes can happen to anyone at any point in running their business, and these tips can make your accounting easier and help you take better business decisions. Do you have any questions about how to manage your business’s accounts? What has helped you manage your accounts, and what would you recommend to other business owners? Tell us in the comments below.